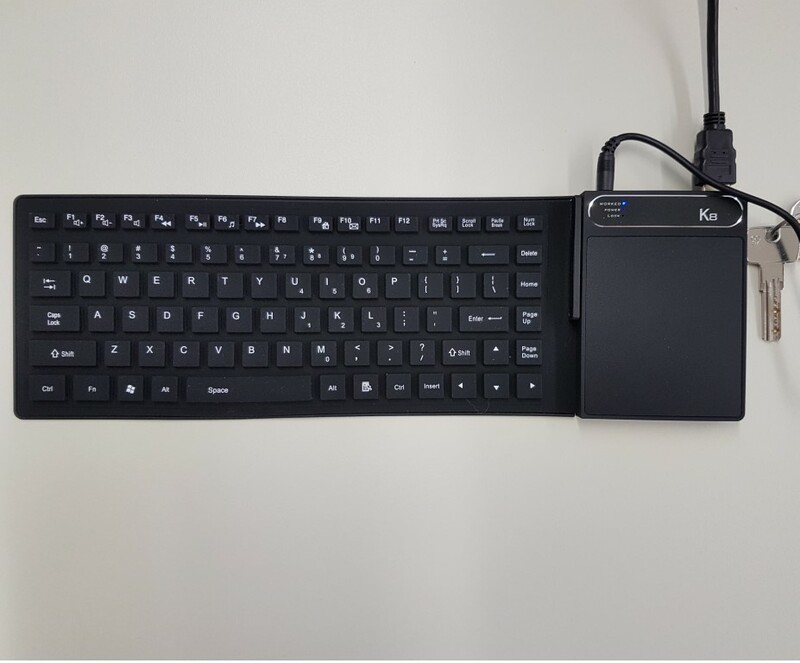 This time we have the K8 Mini PC which is a windows mini pc embedded in a foldable keyboard/mouse pad combo sporting latest gen specs. K8 arrived is a small black/orange box. 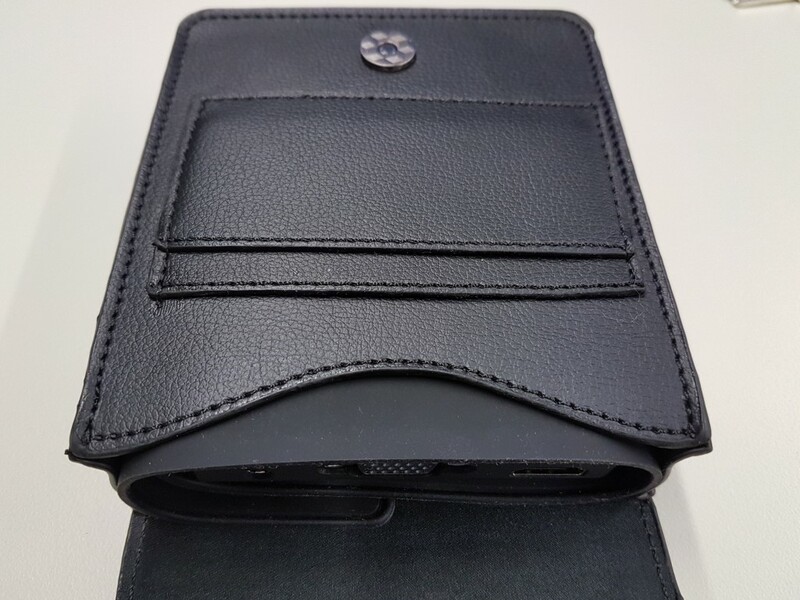 Inside you will find the K8 folded inside a leather-ish case on top, and below it the power brick (actually not a brick, it is a little bit bigger that a smartphone charger) and an HDMI cable. We can’t actually complain about a missing keyboard/mouse external input device since this time they are embedded. 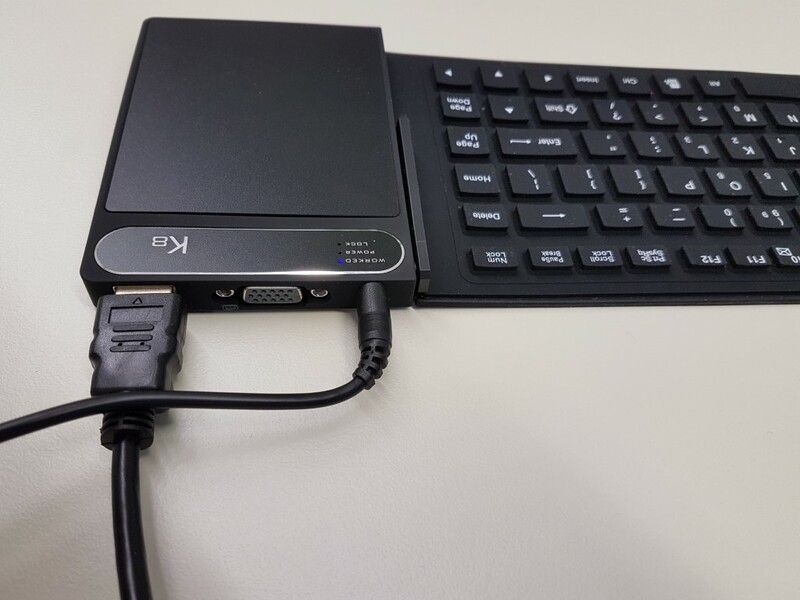 We were surprised by the build quality of K8 mini PC. The fold-able, 87 keys US layout, water-proof keyboard is rubber type (couldn’t be anything else really) and folds nicely around the sturdy mouse pad on the right. 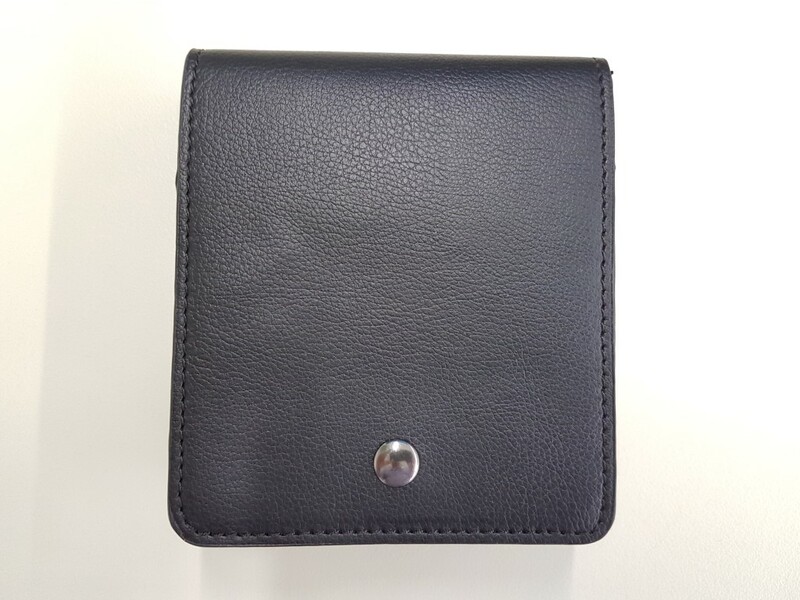 Quality appears to be good and gives the impression that wearing due to frequent use is not an option. The size of the keyboard is almost comparable to the desktop ones which is a good promise for a comfortable typing experience. When typing, the result is pretty accurate although the feeling is weird at first since you feel that each time you press a key there is a small ball inside. Nevertheless, we could type for a long time without fatigue and with few errors/mistypes. The mouse pad is even better! Large in size with great response. Many gestures are implemented, and using it is a joy. No left and right mouse buttons exist. 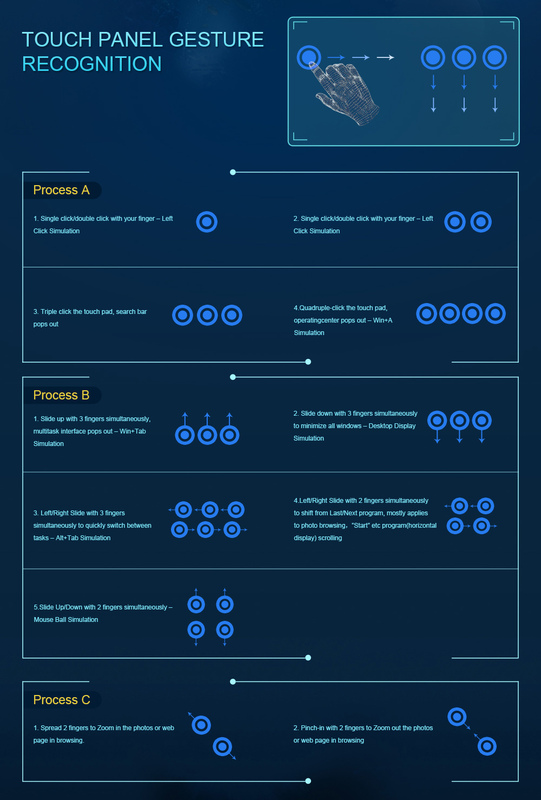 All such functions are implemented into gestures. Overall, mouse pad is much better than others found on cheap laptops. 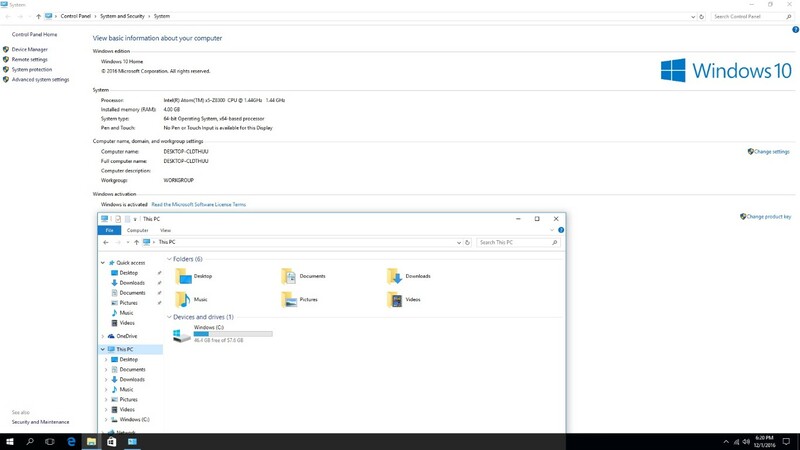 All I/Os are located to the right and top side of the mouse pad. Wiring is tricky since you will have to place it near your screen/TV/Receiver in order to avoid lengthy HDMI and power cables. The specification list is the one expected for this price. Intel Cherry Trail X5-Z8300 quad core CPU is the best choice for such an implementation with low power consumption without sacrificing performance. I/Os are also rich, considering the size, with 1 x USB 2.0, 1 x USB3.0, HDMI, VGA, headphone jack and the aforementioned microSD slot. 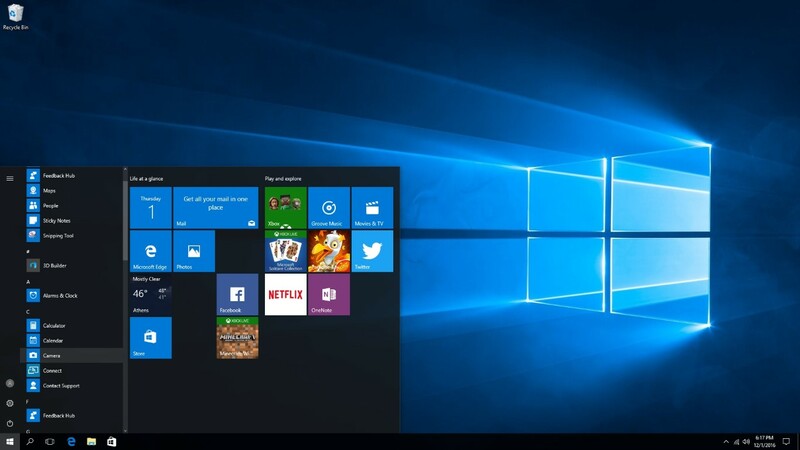 Fully licensed Windows 10 Home (64bit) is the selected OS. 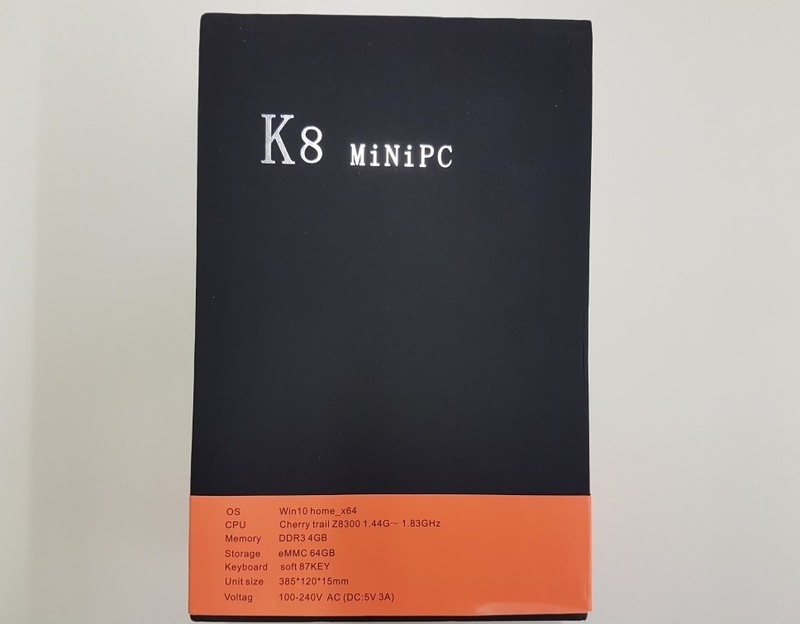 K8 Mini performed exactly the same with other windows mini pc boxes equipped with Intel Z8300. Via KODI 16.1, the majority of popular video files had perfect playback, even 4K ones. The low powered Intel Z8300 had trouble only with tricky encodings (10bit H264, 4K VP9) where no hardware acceleration was supported. Good thing is that such type of encodings are hard to find. As usual DD/DTS bit streamed fine with no possibility for HD-Audio due to the usual lack of proper drivers. Since we are dealing with an actual PC, absolutely no playback incompatibilities were found with .mp3/ .flac or any other music related file type. Wi-Fi performance was very good (AC mode) and if range/reception is good, you can stream 1080p content with ease. eMMC storage had typical read/write performance, but we rarely find SSD units in such small factor solutions. Don’t expect a low performance, just not a top one. From the 64GB of total space, user will find available ~47GB which is very good and provides freedom to install all major apps. 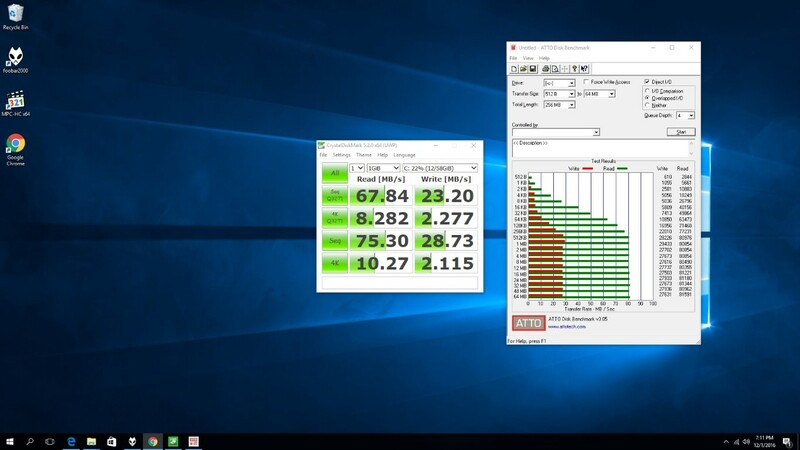 Performance in everyday Windows environment use was very good. 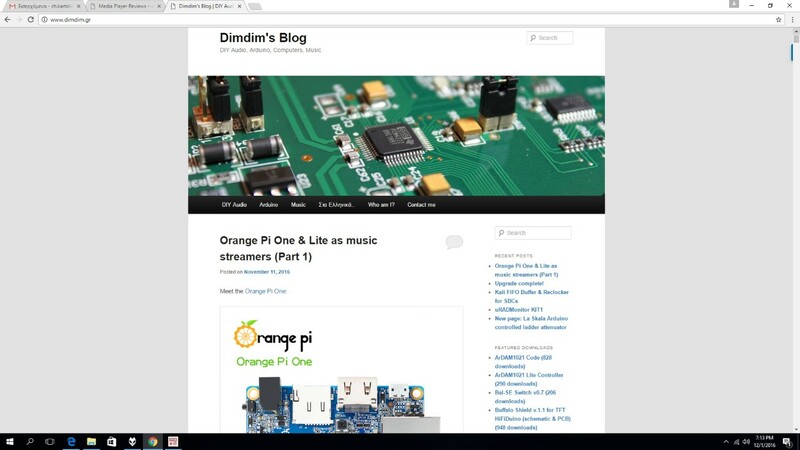 Multi tab Google Chrome web browsing was a breeze and listening to Spotify or Foobar while doing so was also hassle free. For better productivity, both HDMI and VGA outputs can be connected to different monitors so that you can have a dual setup. Fortunately, no bloatware was installed. 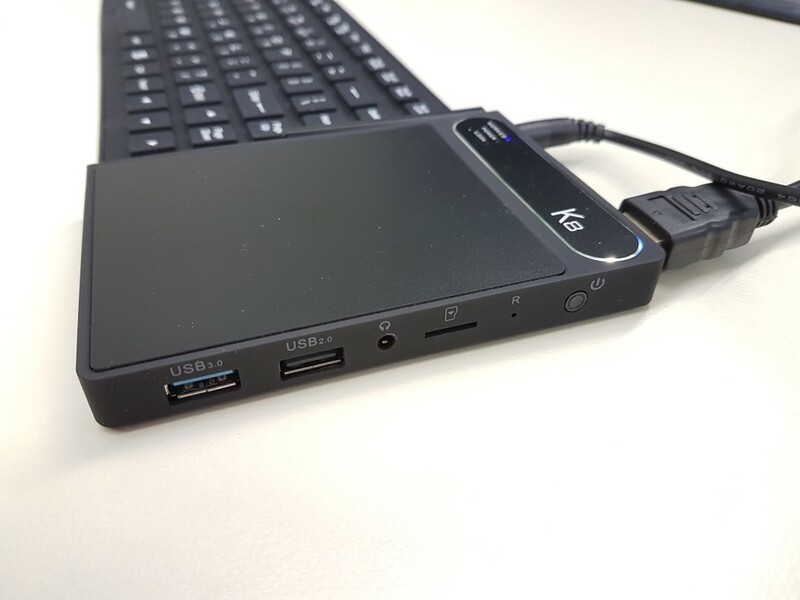 K8 Mini PC is a great all in one (well, display aside) solution. It can be lifesaving in cases you want to carry a computer with all your files and just plug it in guest’s display. Keep in mind that it is significantly lighter that a laptop and occupies very small space. For media use it is very capable with perfect playback for all major file types. The only thing you must solve in this case is the placement in combination with cabling. Price wise, it can be considered quite cheap for the performance and its category. If you are out for a similar option, the K8 Mini PC is probably the best one.